At JW Auto Care, which serves the Scottsdale and Tempe area, there’s no Japanese-make automobile that we can’t service and repair, including Mazda. JW Auto Care is a family-owned and operated business, serving the valley since 1966, and has set a high standard for auto repair in the area. Most of our mechanics are ASE-certified and are up to speed on the service and repair of Mazda automobiles. Owner Johnny Welker, who bought the business in 2010 from his uncle, is deeply involved in the auto repair industry, which allows him access to the most up-to-date information and technology available for his auto mechanics. Of the four technicians we have on hand, two are Master Technicians. 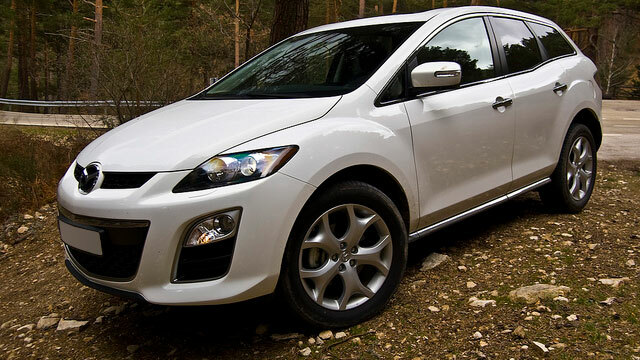 Our auto repair shop is well-equipped to service and repair Mazda vehicles. While your Mazda is being repaired at JW Auto Care, you may either wait in the cozy and comfortable waiting room, where you can enjoy soda, coffee, tea or water while accessing our free Wifi or watching our flat screen TV. If you have kids, we can put a children’s movie on, provide them with goodie bags with small toys, art packs, crayons and coloring books. Or we’d be happy to shuttle you to where you need to go or use one of our three loaner cars. Our aim is to offer you the best customer service we can, or as Johnny puts it, the “red carpet treatment.” That ranges from cleaning the interior and washing your car (if time permits), driving it to the front of the waiting room and putting a flower or mints on the seat as an extra touch. When you bring in your Mazda for maintenance or repairs, you can be certain that the auto mechanics at JW Auto Care in Scottsdale have your safety and comfort in mind and we will do our best to get you back on the road with your car in tiptop running condition as quickly as possible. For auto repairs and maintenance of your Mazda, call us or schedule an appointment online. JW Auto Care is located at 3011 N. 73rd St., Scottsdale, AZ 85251.